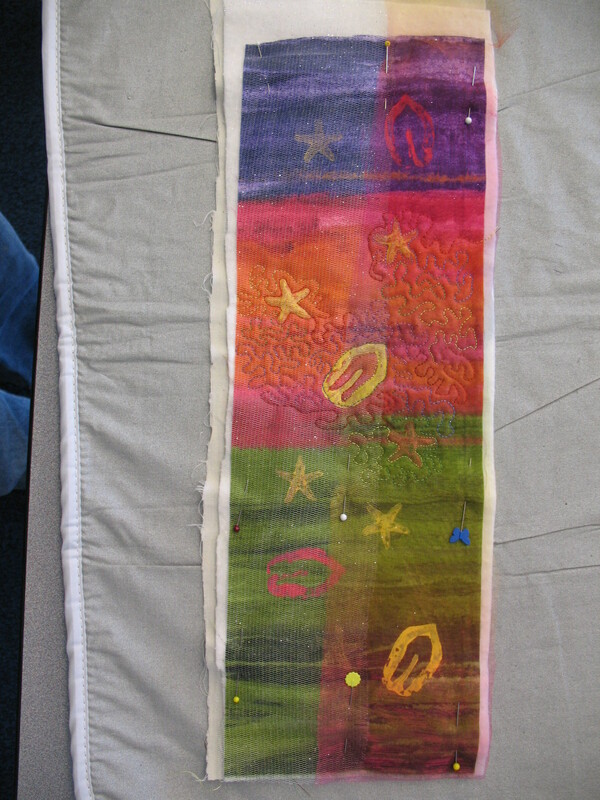 Today Diane introduced us to Layer It On from the Fall issue of Quilting Arts Magazine. 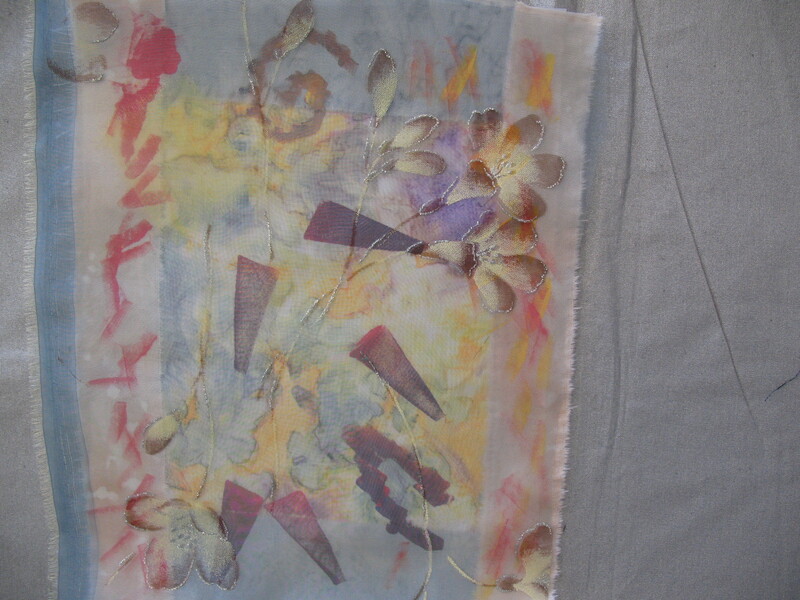 It is a process of creating fabric from scraps, then stamping with paint, then layering on sheers,then quilting, then cutting away the sheer from the stamped area. Here is what we have so far. 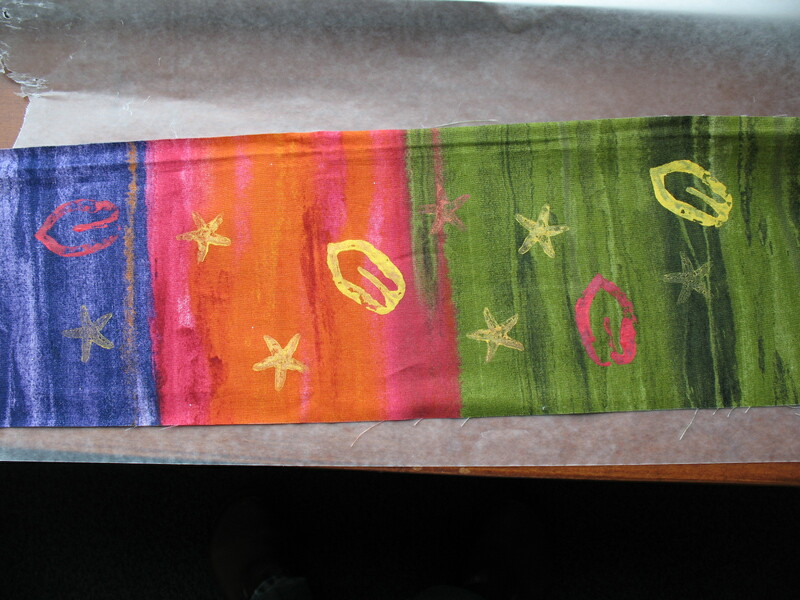 Frances used one solid piece of fabric rather than creating fabric from scraps. The above photo shows her painted stamps drying. Below is after layering on 2 different sheers and starting to do the quilting. Frances’ with sheer overlays and some quilting. 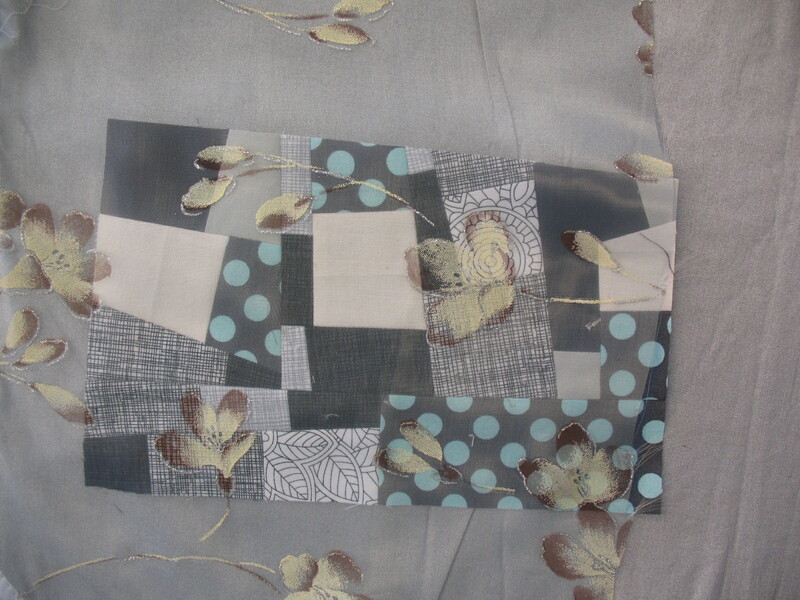 Steph has several fabrics in her background, stamping and has layered on a sheer with flowers printed on it. Beth pieced her fabrics and is using the same sheer as Steph.